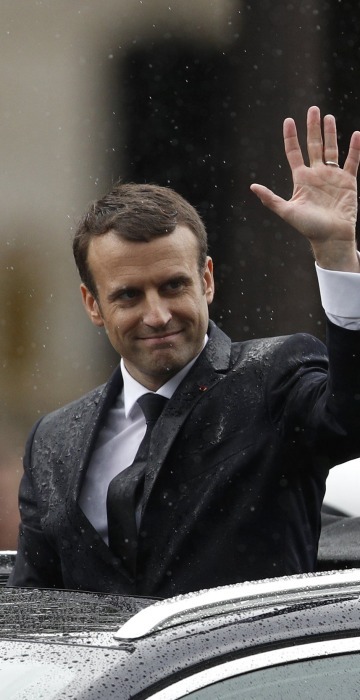 Emmanuel Macron is France's youngest leader since Napoleon Bonaparte. 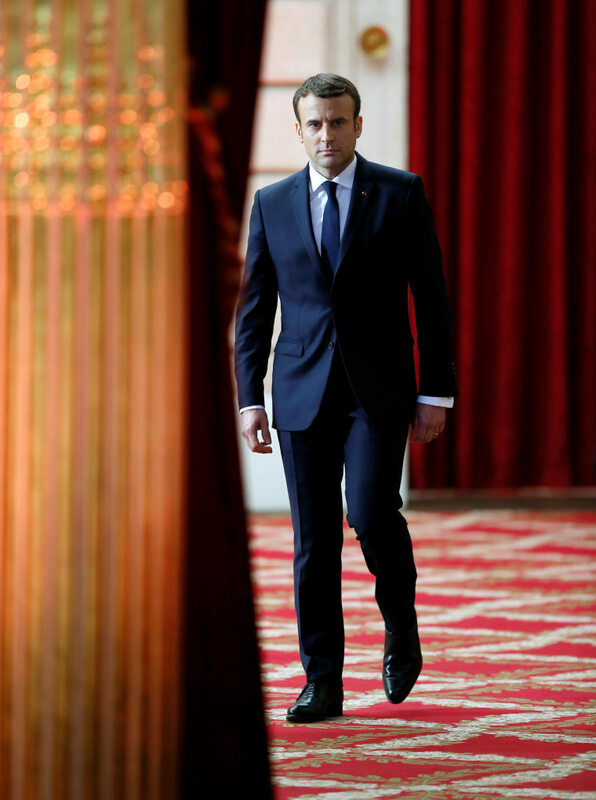 Incoming French President Emmanuel Macron walks towards the Élysée presidential Palace at the end of a handover ceremony on May 14, 2017 in Paris. Macron, an independent centrist, won a resounding victory last week against far-right candidate Marine Le Pen. The 39-year-old former investment banker has never before held elected office and only formed his political movement a year ago. 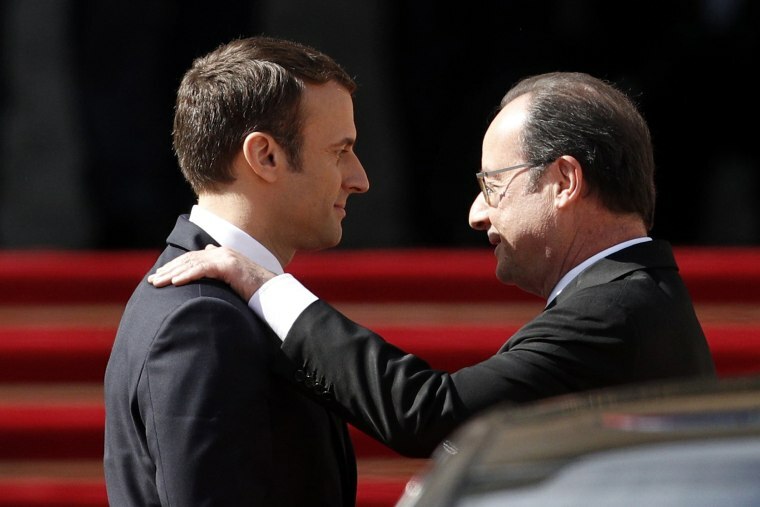 Outgoing French President Francois Hollande embraces Macron during the handover ceremony. 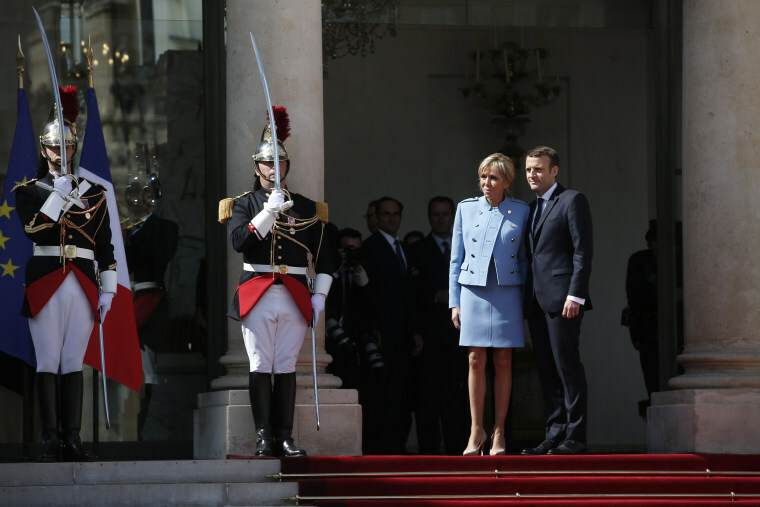 Macron and his wife, Brigitte Trogneux, pose on the steps of the palace after the inauguration ceremony. Macron met his wife, now 64, when he was a 16-year-old at a Jesuit high school in the northern French city of Amiens. She was his drama teacher, and married with three children. 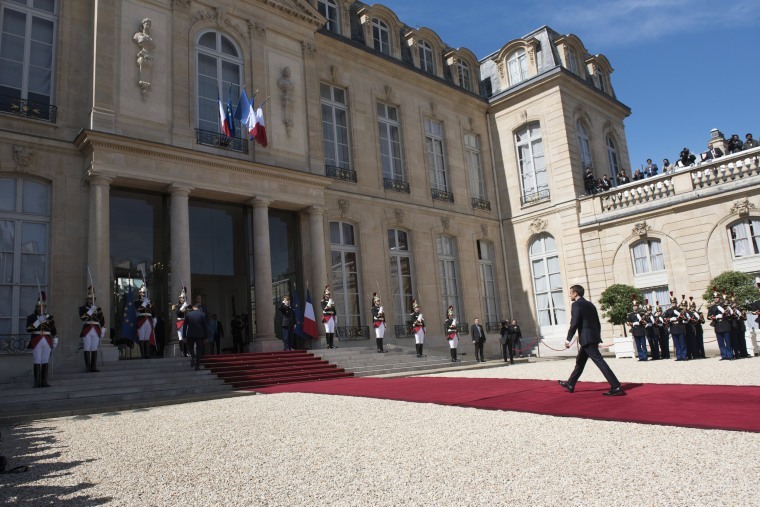 Macron arrives to deliver a speech during his inauguration at the palace. Macron's wife, Brigitte, blows a kiss to the crowd, before the inauguration. 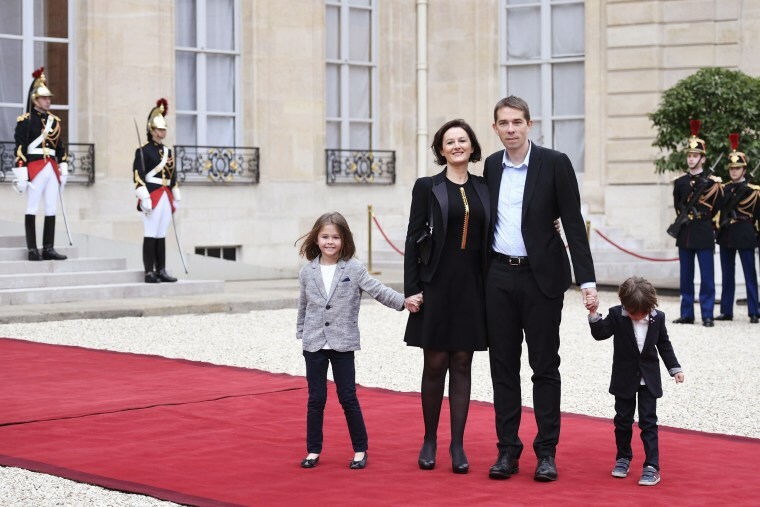 Emmanuel Macron's stepson, Sebastien Auziere, stands with his family as they arrive for the inauguration. Macron kisses his wife during the handover ceremony. 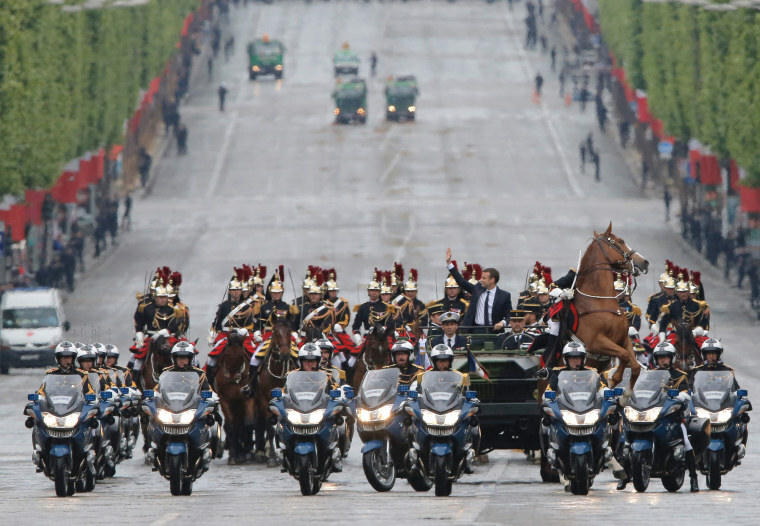 A horse rears as Macron parades in a car on the Champs-Élysées after his inauguration. 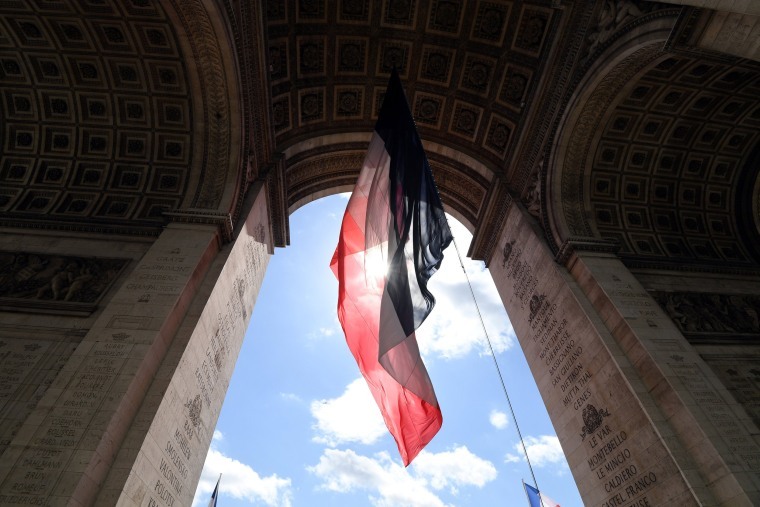 A giant French flag hangs from the Arc de Triomphe in honor of France's new president. 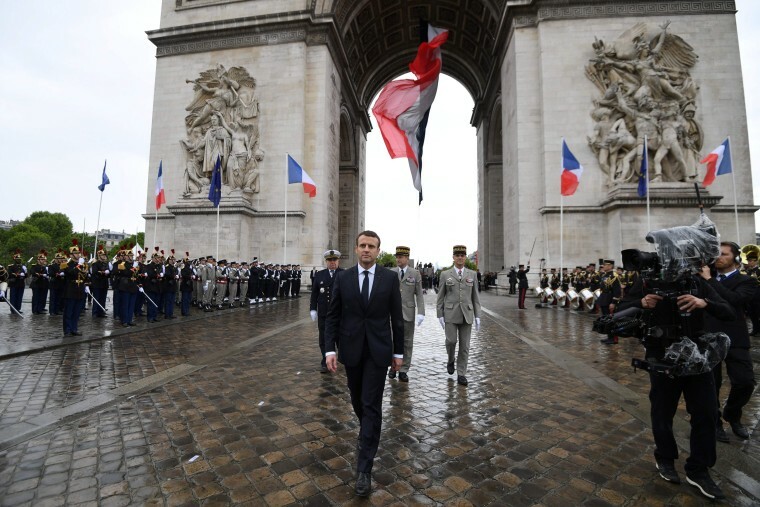 Macron departs after after laying a wreath at the tomb of the Unknown Soldier at the Arc de Triomphe. 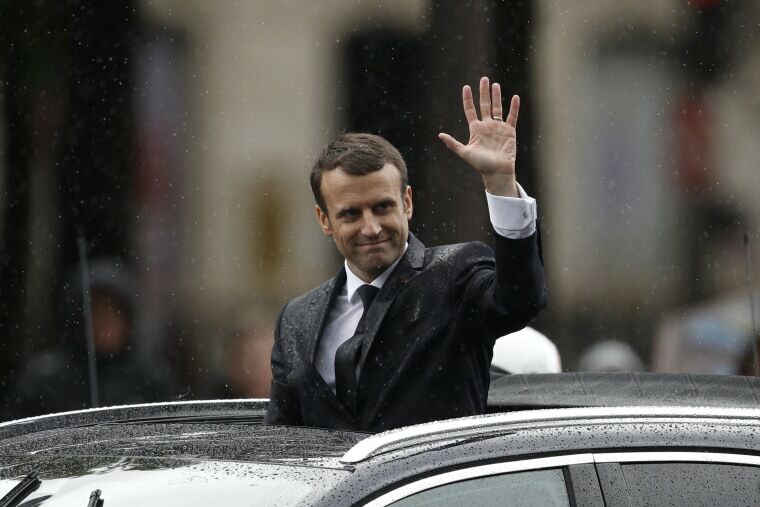 Macron waves from a car on the Champs-Élysées as he is driven back to Élysée Palace. 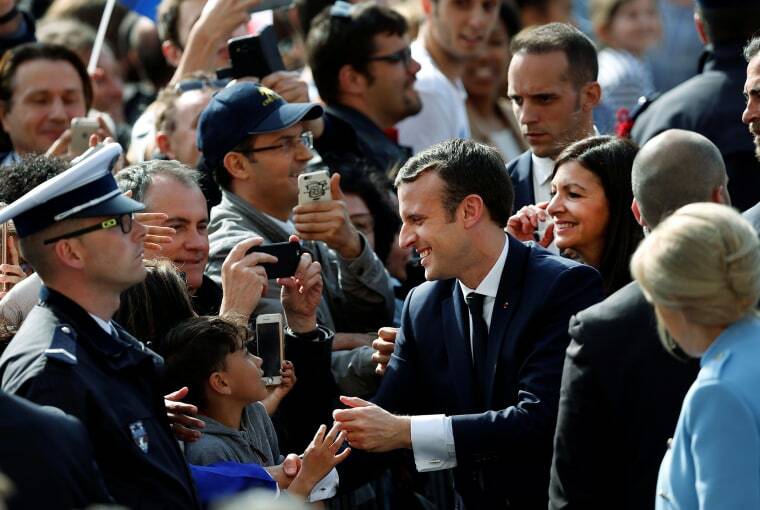 Macron greets people in the crowd outside the Hôtel de Ville in Paris. 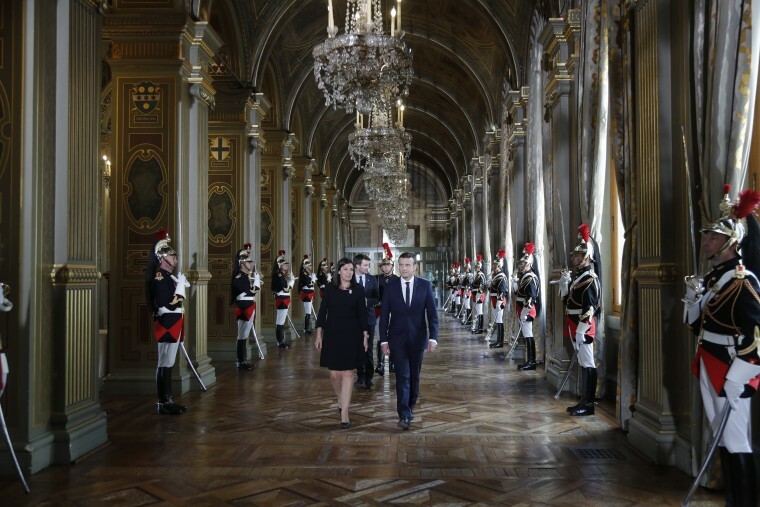 Macron and Paris Mayor Anne Hidalgo walk together before a ceremony at the Hôtel de Ville, Paris' city hall.